(Composer, Musical Director) wrote the scores for 5 TACT shows: Mrs. Warren’s Profession, Light Up The Sky, Auntie Mame, Happy Birthday, Three Men On A Horse and has also Musical Directed several benefits. On Broadway he created and conducted the Tony and Grammy nominated dance review Swing. He’s played Thoroughly Modern Millie and served as Associate Conductor on Imaginary Friends and Jersey Boys, where he is now Associate Musical Supervisor for global productions. His background is as a jazz pianist, studying in New Orleans with renowned jazz patriarch Ellis Marsalis. 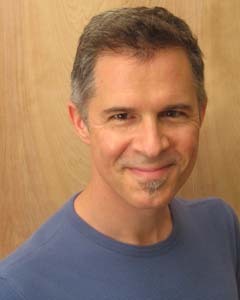 He holds degrees in Jazz Performance from Berklee and the Manhattan School of Music, and also serves as a Teaching Artist at Jacques d’Amboise’s National Dance Institute.